We are in the middle of a one week visit to Toronto Community Housing by representatives from four South African social housing groups. The visitors have been really impressed with the redevelopment of Canada’s oldest public housing project – Regent Park – in the east downtown area. Toronto Community Housing is replacing the long-isolated social housing neighbourhood with an innovative mixed-income, mixed-use community. All of the existing social housing units will be replaced with new housing. New condominium units are being built and sold to help finance the social housing. The area has already changed so much that I felt lost even though I have lived in downtown Toronto for 25 years. 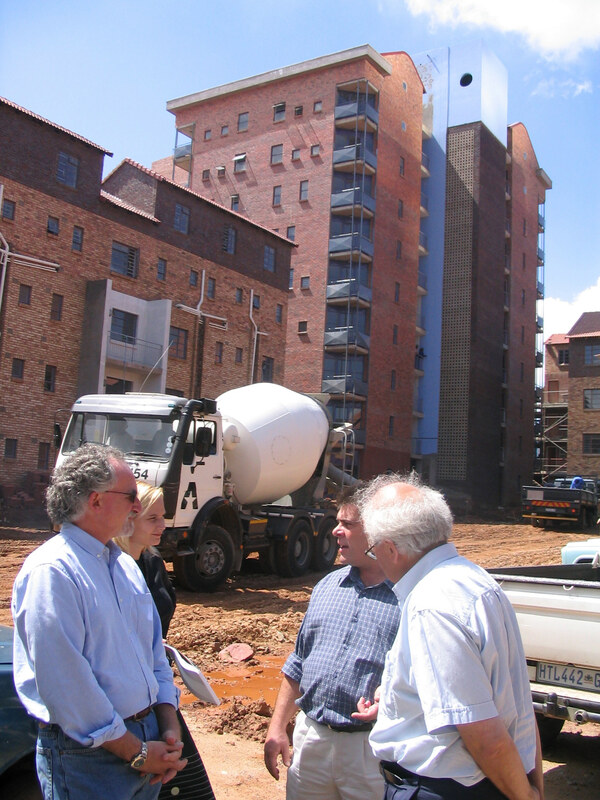 Three of the South African groups are actively involved in revitalizing Hillbrow, one of Johannesburg’s most troubled inner city areas. The fourth group is developing new social housing in several run down areas of Cape Town. I am sure they will be taking many lessons home from this experience. Rooftops Canada is very grateful to TCH for its active involvement in supporting the social housing movement in South Africa. Barry this is personal, need to desperately speak to Eliza Moore, plz help. Use to work with her at eThekwini Housing.